There is a Last Will & Testament. What’s next? – Daniel M. Copeland, Attorney at Law, P.A. There is a Last Will & Testament. What’s next? Formal Administration: One of the primary purposes of probate is to ensure that the decedent’s debts are paid in an orderly fashion. In a formal administration, the personal representative must use diligent efforts to give actual notice of the probate proceeding to “known or reasonably ascertainable” creditors; this notice is required to be published. This gives the creditors an opportunity to file claims in the decedent’s probate estate, if any. Creditors who receive notice of the probate administration generally have three months or ninety days to file a claim with the clerk of the circuit court. The personal representative, or any other interested persons, may file an objection to the statement of claim. If an objection is filed, the creditor must file a separate independent lawsuit to pursue the claim. A claimant who files a claim in the probate proceeding must be treated fairly as a person interested in the probate estate until the claim has been paid, or until the claim is determined to be invalid. The legitimate debts of the decedent, specifically including proper claims, taxes and expenses of the administration of the decedent’s probate estate, must be paid before distributions are made to the decedent’s beneficiaries. A Personal Representative is only appointed in a Formal Administration. It is not enough to merely be nominated in a Last Will and Testament. A PR is appointed by a judge. 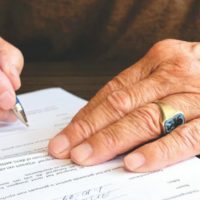 The court will require the personal representative to file a report to advise of any claims filed in the probate estate, and will not permit the probate estate to be closed unless those claims have been paid or otherwise disposed of. Formal Administration is recommended (even if the estate is eligible for Summary Administration) when there are multiple creditors or a PR needs to be appointed to handle certain affairs of the estate. Those affairs include: contract issues, mortgage/lienholder negotiations, litigation and ongoing business concerns to name a few.